When it comes to women’s health is the most common problem is the low level of iron in the blood. Fatigue, lack of energy, drowsiness, fatigue – these are all signs that you have low iron, and it’s time to do something. 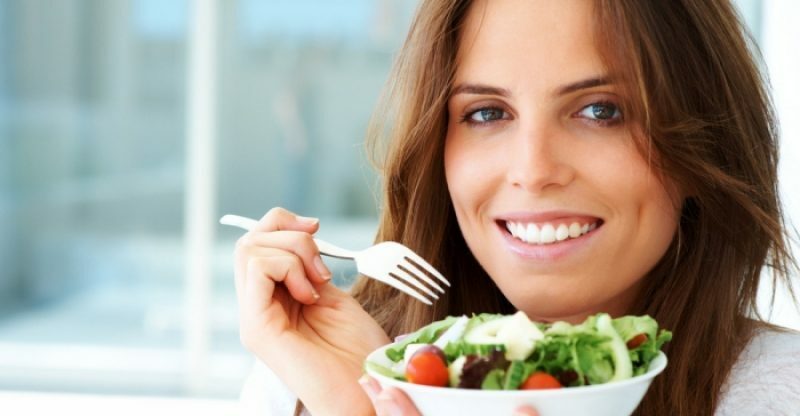 Vegetarians should pay particular attention because due to the diet, they are particularly prone to anemia, but also women during menstrual cycle, as well as pregnant women. Fortunately, nature has given us foods that are rich in this mineral, and that will help increase the level of iron in the blood! 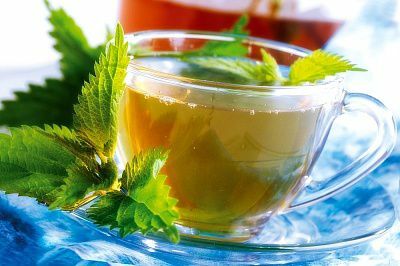 Nettle – Nettle belongs to one of the most popular ingredients for the treatment of anemia. The best thing about nettle it that is completely harmless and can be consumed during pregnancy and lactation. It is recommended in fresh form, as a salad or soup, but is equally useful and effective in the form of tea. It supplies the body with iron, calcium, magnesium and manganese. Thanks to its fantastic properties, it is used for strengthening the immune system and general detoxification of the body. In combination with pollen, it is a strong fighter for the production of hemoglobin, and thus for the treatment of anemia. You can incorporate nettle in stews, soups or tea, but also as a condiment. For example, make an omelet with nettle and enjoy a healthy breakfast! Millet – Though not as popular cereal in the human diet, it is important to know that 100 grams of millet contain nine milgrams of iron, making it one of the top foods for the prevention and treatment of anemia. In addition, it helps in the treatment of cardiovascular disease, especially atherosclerosis, followed by diseases of the digestive system, diseases of the kidneys and bladder. It is an excellent diuretic – a tool for the elimination of excess fluid from the body – and therefore also affects the reduction of swelling, which is common during pregnancy. It is also used to prevent urination during sleep, diarrhea … It cleans the skin, strengthens hair and nails. Millet is an ideal grain for preparing porridge, or as a side dish instead of potatoes and rice. Millet porridge: Boil millet in two and a half times as much soy milk. 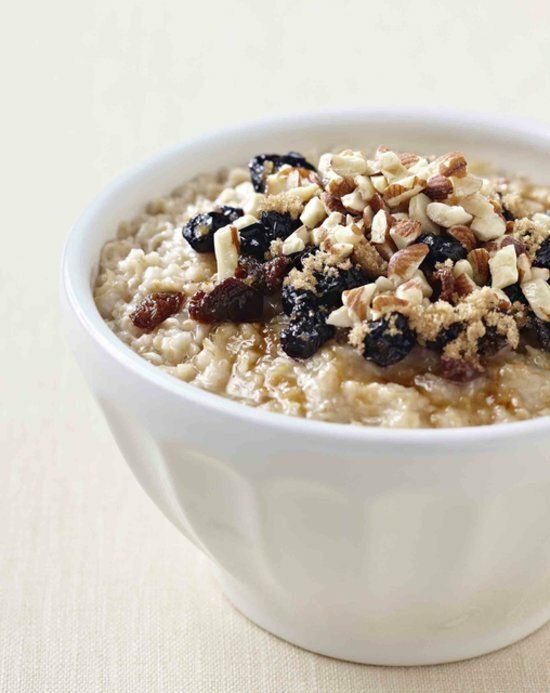 Add ground almonds, dried cherries or cranberries, and squeezed orange juice to improve the taste of this really not so tasty cereal. 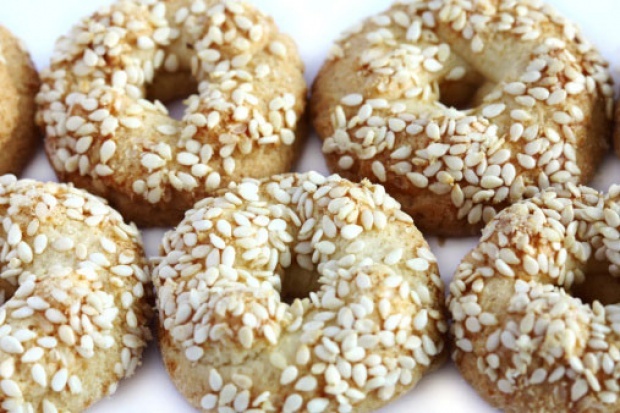 Sesame – It is rich in iron! 25 grams of sesame seeds is sufficient daily intake that will meet half of the daily requirement for iron. In addition, sesame is rich in calcium and (sesame seeds contain seven times more calcium than milk), manganese, copper, magnesium and selenium. It is important for pregnant and lactating women because, among other things, is a good source of high quality protein. You can eat it in ground form, raw, as a condiment cereal, or mixed with yogurt. 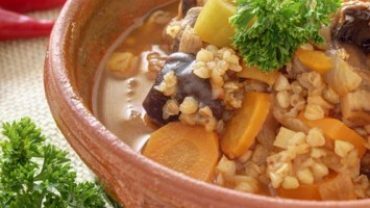 Delicious Mushroom – Buckwheat Broth Based Soup Recipe!